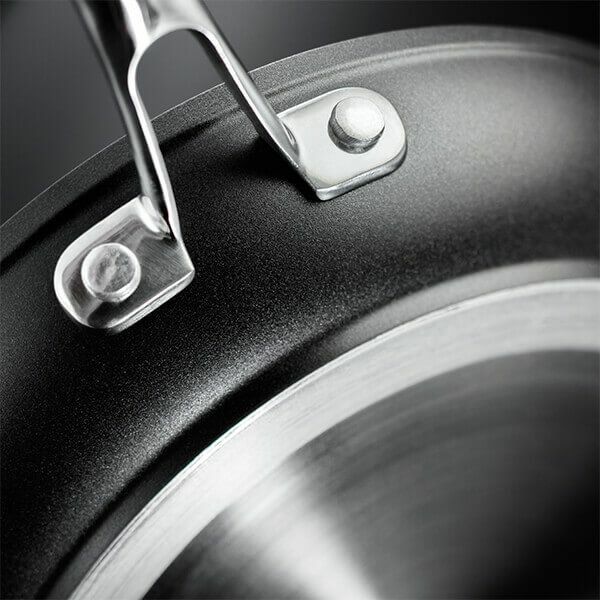 This 30cm Stellar speciality Rocktanium frying pan has a non-stick QuanTanium coating to deliver a scratch resistant and durable cooking surface with a 10 year non-stick guarantee. I ordered this frying pan after my last went kapute. I wanted something that will last so I went for this one. Nice but at a more affordable price. I love it. So nice. Does the job very well. We can finally cook pancakes. Also loving the packaging, that it can be composted. Overall very happy. Thanks. We already have two of these so that speaks for itself! 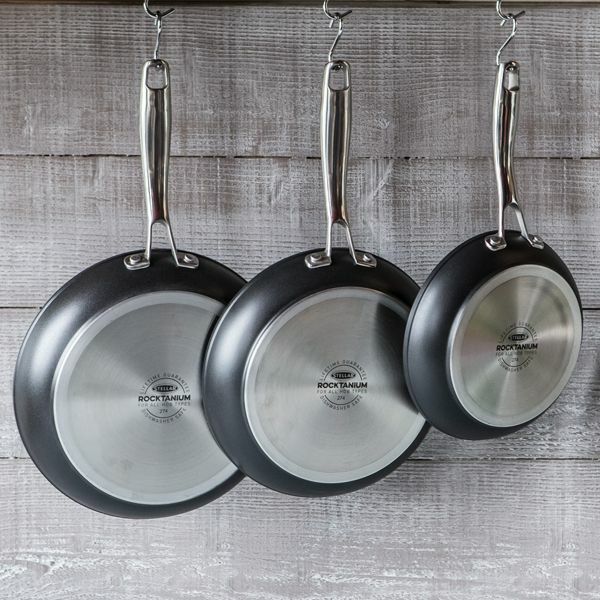 Best frying pans we have ever owned, really durable. 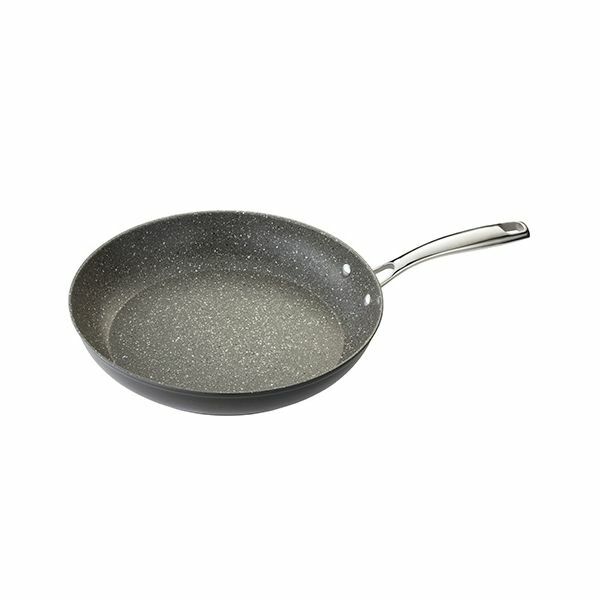 Great size, non stick frying pan. Best pan I have ever used in 30 years of professional cookery.